It's billing itself as "Boston's Coolest Experience." After a flurry of media coverage, Faneuil Hall's Frost Bar is now open for business. From the bar to the seats - yes, even the glasses you drink from - are made of ice at the Frost Bar. The temperature is kept at 21 degrees to make sure nothing melts. 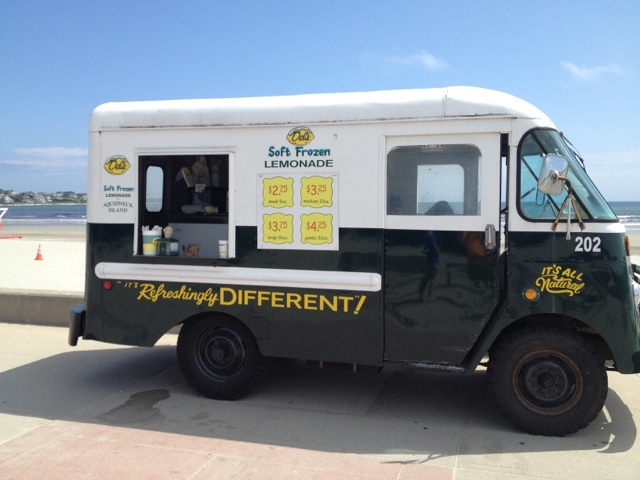 They offer a number of signature drinks, all of which will run you $11 a pop. Non-alcoholic drinks go for $6 each. Admission is an eye-popping $18.99 per person and you only get to stay for 45 minutes because of the chill factor. Caps and gloves are provided with the price of admission. This seems like something great for tourists and a nice way to cool off in the hot summer days, but I wonder how business will be in the dead of winter, when it's colder outside than it is inside. 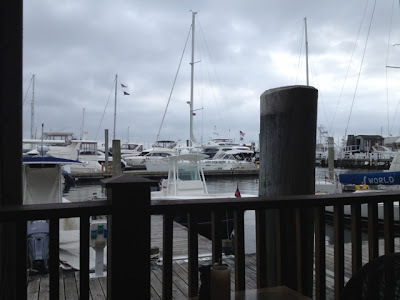 SIZZIN SUMMER SPOTS: THE MOORING IN NEWPORT, R.I. It's summer's last hurrah. Labor Day weekend is here, but before it's time for pumpkin-flavored everything, there's still time to soak in some last-minute summer. The Mooring Seafood Kitchen & Bar in Newport, Rhode Island is the perfect place for a fine meal this Labor Day weekend. Sure, you can eat inside, but if you can, get a table outside. You'll sit right by the water and be able to watch the boats comes and go. The Mooring offers many wines, beers and cocktails. They have a Guinness float with Guinness Irish Stout and vanilla ice cream. 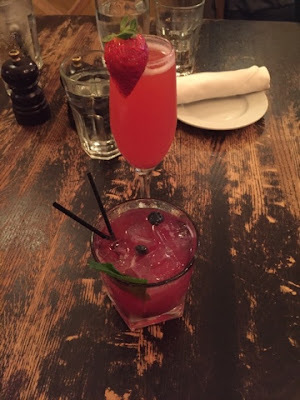 Grab a drink, then order an app. 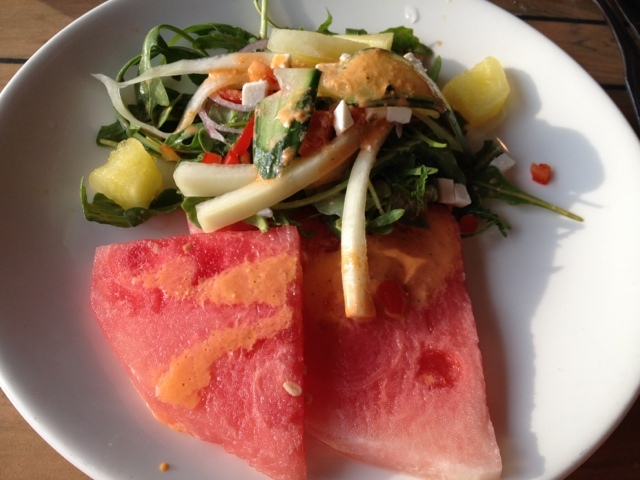 I loved their light and refreshing watermelon salad. It's perfect for those warm summer nights. They'll split it on two plates for you if you're sharing. Another popular app is their "bag of doughnuts," their lobster, crab and shrimp fritters. Seafood dinner options are all fresh from the sea. They have traditional New England favorites like Atlantic salmon and Maine Lobster. 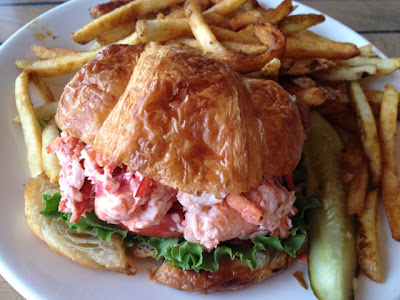 I went for one of their sandwiches, the lobster croissant. It was jam packed with fresh, chilled lobster meat and served with a side of fries. Excellent. 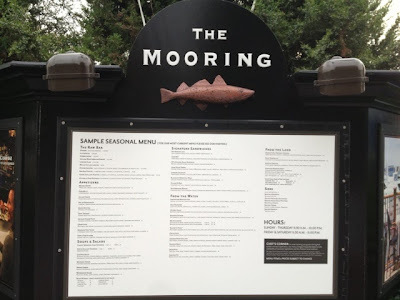 If you're not in the mood for seafood, The Mooring has many dishes for land lovers including pork tenderloin, ricotta gnocchi and chicken. 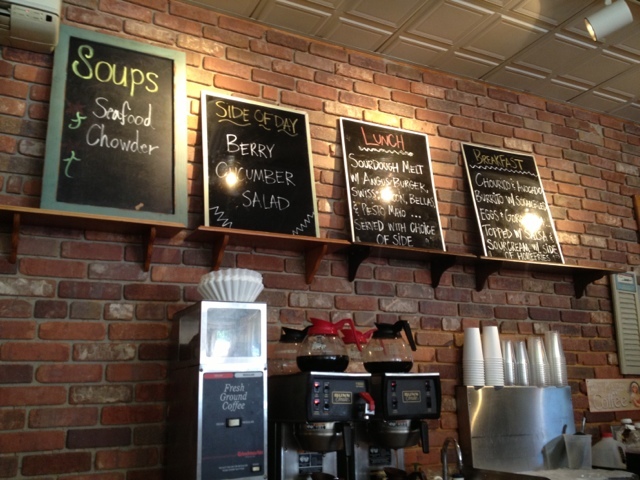 They also have many gluten free and vegetarian options of the menu. Desserts include New York cheesecake with a raspberry sauces, carrot cake creme brulee and banana cake. 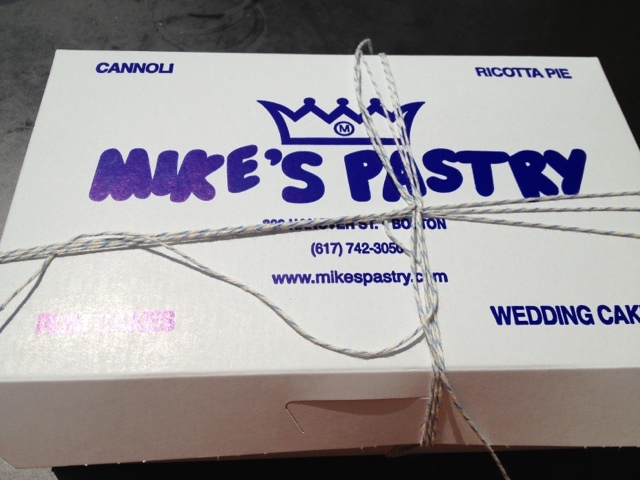 No trip to the North End is complete without a little dessert. I always stop at Mike's Pastry for a cannoli or two. They come in a bunch of different flavors, but my go to is the chocolate chip. Their cheesecakes and champagne cookies are also delicious desserts. Don't let the long line intimidate you. 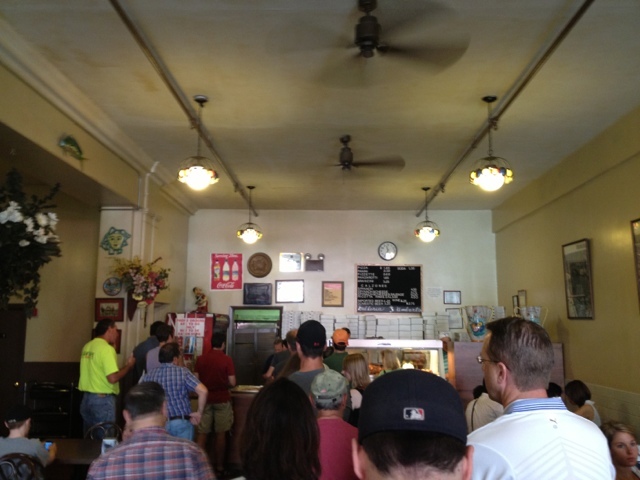 The line at Galleria Umberto in Boston's North End is long because the food is to die for. 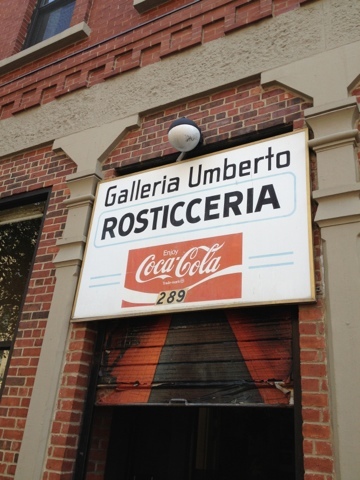 Galleria Umberto sticks to a few Italian favorites and does them well. They cook their pizza sicilian style by the sheet. It goes fast, but workers are always quick to bring out the next sheet of pie. The pizza is light, with a crispy crist. Just like mama used to make. And you can't beat the price. One slice will only set you back $1.65. The arancini is also a must. 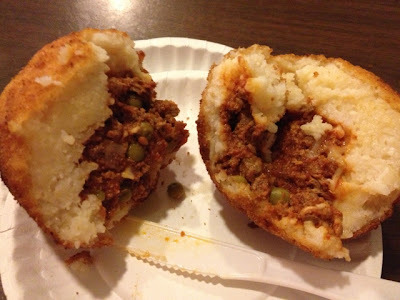 The softball-sized balls of rice and cheese are stuffed a mix of meat and peas. One arancini will fill you up at lunch. 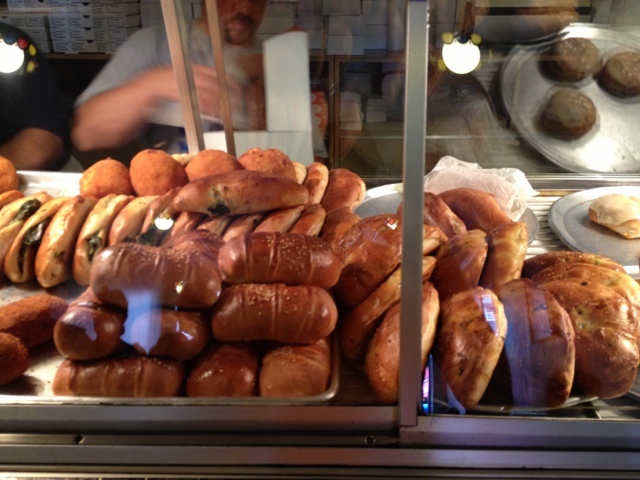 Galleria Umberto also offers several calzones including spinach & cheese and ham & ricotta and spinach, cheese and sausage. A can of soda is only $1.30 and a cup of wine will only run you $2.25. 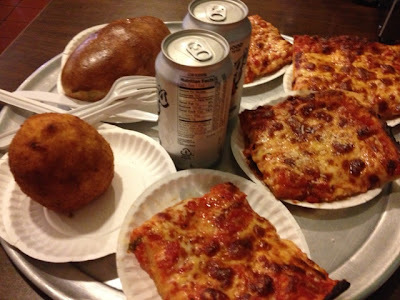 Galleria Umberto is Italian food done right. A true gem of Boston's historic North End. Newport, Rhode Island has so much to offer. The mansions. The breath-taking ocean views. The food. 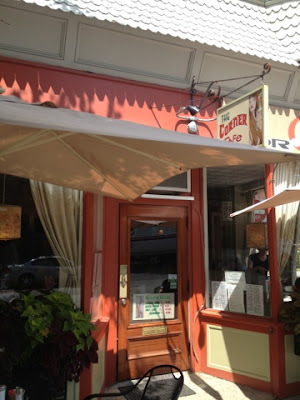 Newport offers up all kinds of diverse food options and one place that really brings all kinds of foods together in a beautiful way is The Corner Cafe. The Corner Cafe boasts a huge breakfast menu. From several breakfast burritos and omelets to scramblers, pancakes and French toast, the breakfast options have really put The Corner Cafe on the map with locals and tourists alike. I had the pleasure of discovering this restaurant for lunch. 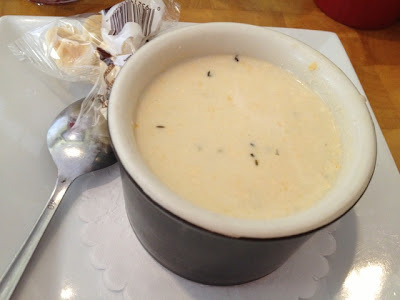 I started with a cup of rich, seafood chowder. I ordered the Cape Codder quesadilla for lunch. 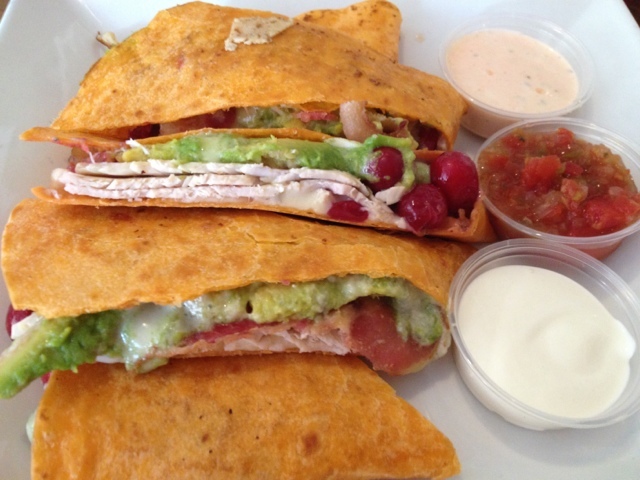 It was stuffed full of turkey, bacon, avocado, gorgonzola, provolone cheese and whole cranberries. It's served with salsa, sour cream and ranch sauce. This was one of the most delicious and unique meals I've had in a long time. Highly recommended! If I don't go for the Cape Codder again the next time, I may try the bacon cheeseburger burrito with ground beef, bacon, cheddar cheese, lettuce, onion and ranch dressing. Also on the menu, a bunch of melts, salads and vegetarian options. The Corner Cafe also serves several unique pizzas. Among them: the lighthouse pizza with clams, scallops, shrimp and pesto and the blueberry thrill with ham, caramelized onions blueberries, Swiss and smoked goada. What a restaurant! - There is plenty of free parking in front of the restaurant. - Sometimes there is a small wait for breakfast and lunch. It's well worth the wait. Tiramisu has never been my thing, but now it is thanks to this delicious dish. 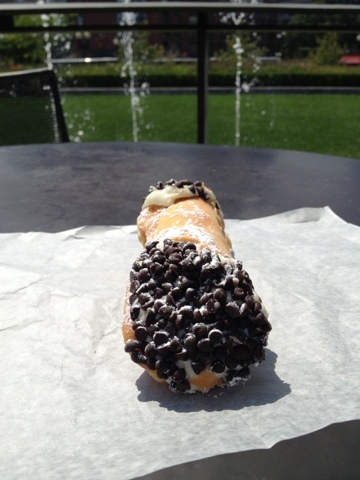 This perfect dessert is one of several traditional Italian favorites on the menu at Strega on the waterfront in Boston. 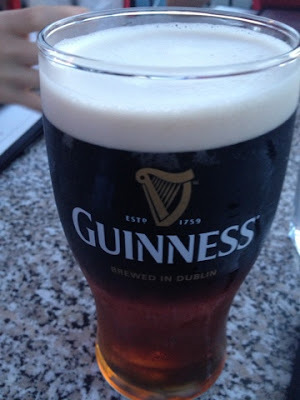 Served nice and cold, it's dusted off with a generous amount of cocoa powder. It's light, airy and melts in your mouth. 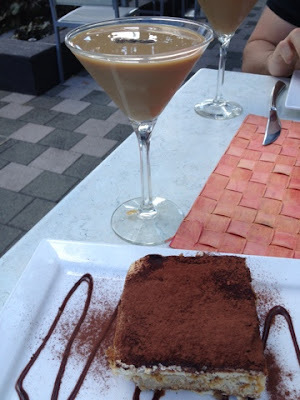 Pair the tiramisu up with Strega's espresso martini and you'll be in dessert heaven. 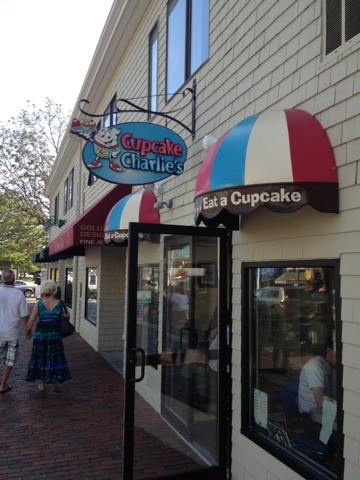 The next time you're checking out all of the shops in Newport, Rhode Island, stop into Cupcake Charlie's for a sweet treat. Choose from more than a dozen flavors each day including orange dreamsicle, carrot cake and Oreo delight. 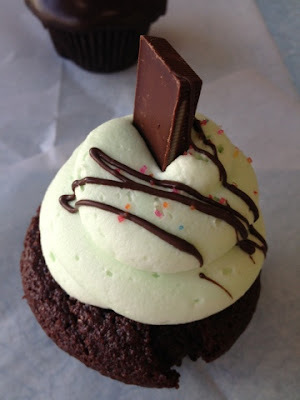 Their chocolate mint madness cupcake is one of my favorites. If you have a real sweet tooth, Charlie's also sells shots of their frosting. You don't have to travel all the way to Newport for one of these cupcakes. 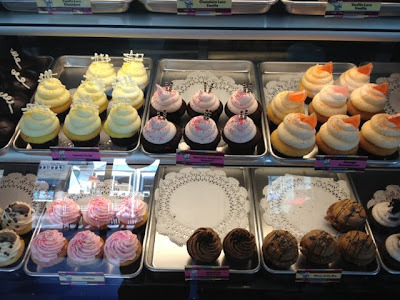 Cupcake Charlie's is expanding with its newest location in at Legacy Place in Foxboro, MA. Everyone knows about the Jerry Remy's near Fenway Park. The Red Sox announcer also has locations at the Seaport in Boston and Logan Airport . 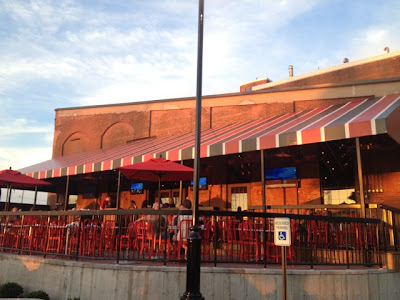 But, there's also a Jerry Remy's outside of the city, in Fall River. The large, open dining room has plenty of seating. 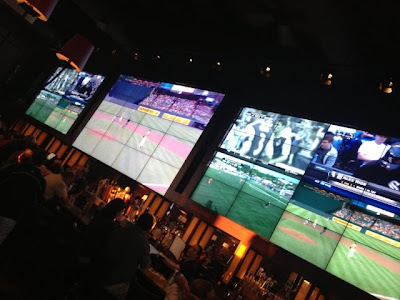 You can also grab a seat at the bar for an up close view of their "screen monsters," their 17-foot and 14-foot video walls. They are very impressive. This really is THE PLACE to catch a game. You won't miss a moment because there are monitors in the bathrooms. There's even one in the bathroom mirror! Jerry Remy's offers a wide variety of beers, wines and cocktails. Right now, they have a special summer section on their menu with summer salads including a grilled peach salad and summer berries. Apps include cheese fries, bacon cheddar cheese fries and nachos. The menu includes typical bar fare like burgers and wraps. There are also some local dishes you'll only find at the Fall River location like the "Fa Reev Burger," chourico with carmelized onion and American cheese. Other unique entries on their menu include a turducken burger and maple glazed fried chicken breast served with a watermelon salad. There are also several vegetarian and gluten free options on the menu. For dinner, I can recommend the "Original RemDawg" a half-pound hot dog topped with chili, cheese and onions. 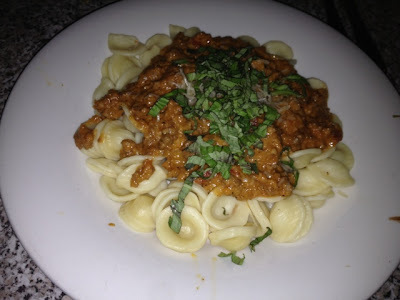 This time, I went for one of their pasta entrees, the bolognese, orecchietti pasta with meat sauce. The pasta was cooked al dente with a nice, hearty portion of meat sauce. - This place can get busy on the weekends. Allow some time for seating and for the food to arrive. - Sit outside if you can. There are TV screens to watch the game and there's a nice view of the water.